Pratik Dash, campaign organizer for the Tennessee Immigrant and Refugee Rights Coalition, speaks about breaking the silence through empowering people to vote and stand up for the other. What would you like to do next with TIRRC | Breaking the Silence? Use some of these tools to raise your voice in your local community. 1.Engage with your representatives. Only a small number percentage of votes cast can change the outcome of an election. Go to your local and state representatives websites and do research about those who are representing you in government. Go to http://www.house.gov/representatives/ and https://www.senate.gov/senators/contact/ to find your representative. 2.Fight fear through education. In order to recognize our fears and extinguish them, we must be educated. Visit or volunteer with organizations that promote inclusively and social justice like TIRRC. This link is a good place to find a similar organization near you. Talk to individuals who are different from you and listen to their stories and narratives. 3. Break your own silence. 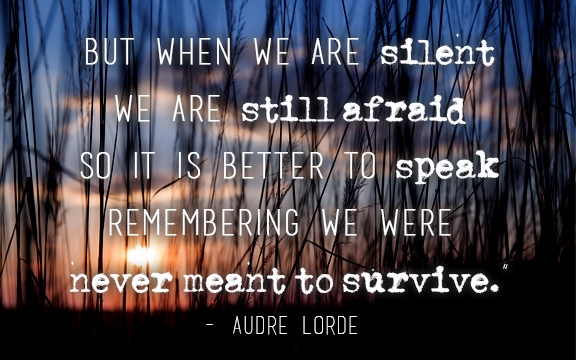 Although it can be hard to find the ways to raise our voices in the midst of injustice, there are ways to be a vocal presence. Find local organizers, pastors, or social workers and be in dialog with them. Ask them about tactical ways to approach issues and confront fear-driven rhetoric. 4. Reflect. Sometimes we get so lost in the chaotic moments in life that we forget to stop and process. Find space to pray and reflect on what is happening in our world and in our country. Search for those places where our faith teaches us to stand up to injustice and strive for peace.